I just received my first, and I'm sure not last, customer complaint. Funny it was on one of my vintage handbags I had for sale and not any of my new items. I guess they expected it to be in excellent or new condition. Hard to find a 60's vintage purse in new condition especially a red patent one. I even described the condition as good for it's age....I would have carried it. But no this customer wanted to throw it in the trash as it wasn't good for anything else. I guess I'm a little miffed and offended, but I do have to realize that you can't please everybody. 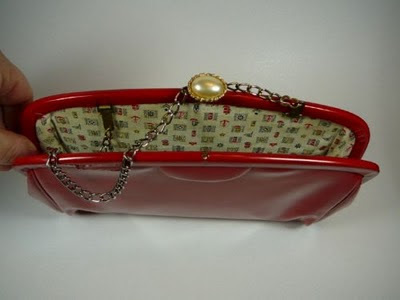 So, if she does send me the purse back, which I did offer to refund her purchase price...I'll have it up for sale again in my Artfire studio if you are interested. 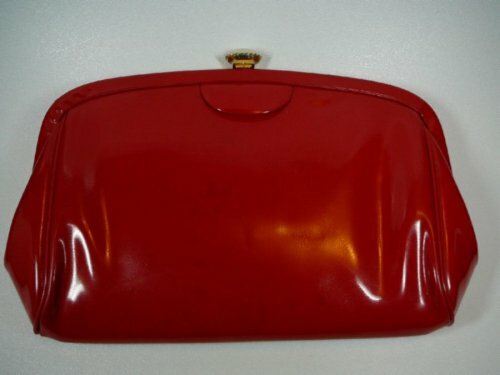 Please note though that this purse is a vintage 1960's red patent clutch in only good condition. I'm sure tomorrow will be a better day. This lady must still be running on the effects of the full moon. Some people enjoy trying to ruin other people's day. Something good will come out of this. It always does. In the meantime, try not to stress. This lady probably has to have help getting to sleep at night. Dana, the purse looks perfect! I've never dealt with vintage but I suppose you're going to meet the odd person with unrealistic expectations. Someone is sure to love it, she just wasn't the right one. 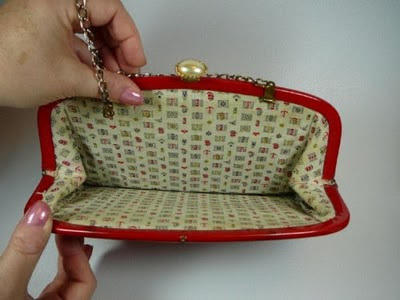 Cute purse! Some people are just grumpy. No worries, I'm sure you'll find a buyer who'll appreciate what a find it really is. I'm so sorry you've had this experience - but try not to take it personally! There are some people who do not understand Vintage.